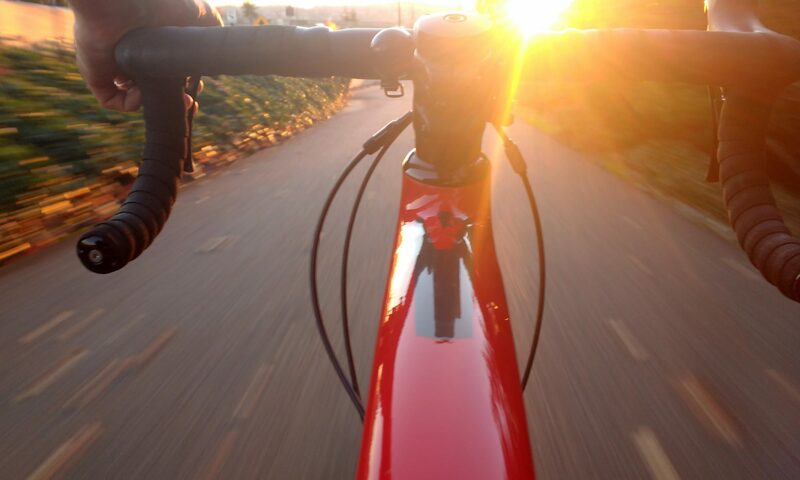 Many modern bikes come with quick release wheels for convenience when removing and replacing the wheels. When locking your bicycle up you need to make sure that you secure both your wheels so that they can’t be removed, as we all know, quick release wheels are very quick to release and letting some air out of the tyre will make it look like a flat. It wouldn’t be hard for someone to just say they are going to fix a flat tyre if anyone challenges them. As we can see from this image, the owner has clearly thought about their front wheel and they are using a cable to secure it to the lock. These aren’t hard to get through but will deter the opportunist thief. The problem with this bike is the position of the lock, it’s locked in the rear triangle but not through the rear wheel. Any passer-by could easily take that rear wheel out and walk away with it. You can get safety skewers to replace the quick release ones, but it’s still a good idea to lock your wheels with your locks! Their getting better 🙂 As you say the rear wheel isn’t secured but could have easily been locked if they’d put the lock below the rear brake they’d have got the rear wheel! 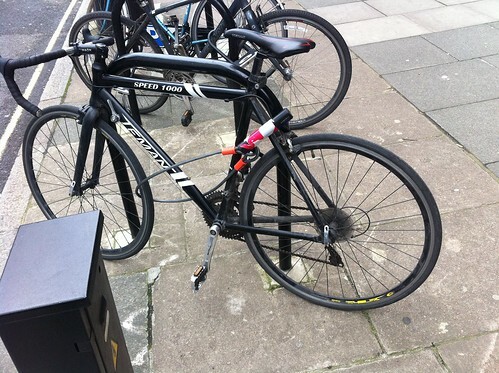 Incidentally the bike behind is rather good as their using 2 d-locks to secure both wheels and frame. I guess they’ve done that because they think the wire isn’t long enough to reach the shackle if it were put through the rear wheel and frame. What they need to do is loop the wire onto itself around the front wheel and then the trailing end would be plenty long enough to get to the shackle when it’s through the rear wheel and frame.